A quick search on the internet reveals that there are many men (and women) who are talking about issues with the keto diet and hair loss. A popular diet for weight loss, the effects of keto and hair loss are similar to problems that were seen with the low-carb diet plans. However, the good news is that many people will eventually see their hair grow back to its normal thickness in just a few months after quitting the keto diet program. If you don’t want to wait months to see results, you could always check out the proven solutions available at our New Bedford hair loss clinic. South Coast Hair Options uses a different approach to hair loss treatment in New Bedford. We treat each client as an individual, creating a custom treatment program based on your unique needs and goals. Our technicians know that there is no one-size-fits-all solution when it comes to hair loss, so we make sure to identify the underlying cause of hair loss before recommending a treatment. We begin each new client relationship by providing a FREE scalp evaluation and comprehensive assessment of hair loss to find the best solution for your situation, lifestyle, and budget. What Causes Keto Diet Hair Loss? You might be surprised to learn that the same thing that causes hair loss with low-carb dieting is also the primary reason why people have issues with keto and hair loss. Studies have shown that hair loss is common with both diet plans. Hair loss occurs with people of all ages who begin a low-carb diet and stick with it. Some studies even included teenagers who began using a restricted carbohydrate diet and experienced hair thinning. The keto diet itself is not the main cause of hair loss, but the side effects that are experienced as a result of this popular dietary program. Big Drop in Caloric Intake – When calories are seriously restricted, your body provides less energy to systems that are considered “non-vital,” such as hair growth. When many people start the ketogenic diet, they don’t replace the calories that they normally would have consumed through carbohydrates with healthy fats and protein. A drastic caloric deficit can impact health across the board. Proper meal planning can reduce hair thinning to ensure that the individual is consuming enough calories to effectively maintain hair growth. Drastic Weight Loss – Studies have shown that when a person loses more than 25 percent of their initial body weight in a short amount of time, that they will typically experience hair loss. This is true of all diets, not just the keto diet. Slow and steady weight loss through diet and exercise is a more healthy approach for the whole body and will reduce the chance of requiring hair loss treatment in New Bedford as a result of quick weight loss. Nutritional Deficiencies – Another reason why keto and hair loss is a big thing being seen in our New Bedford hair loss clinic and clinics across the country is due to deficiencies of vitamins and minerals. Any type of low-carb or ketogenic diet can cause people to forget to replace the nutrients that get “flushed out” during the first week or so on the dietary plan. Amino acids and micronutrients that are responsible for hair growth are usually some of the first to go. Replenishing electrolytes, which include zinc, magnesium, sodium, potassium, and iodine can help to prevent keto diet hair loss. There are three different types of hair loss that can come from a major dietary change such as the ketogenic or low-carb diet plans. Alopecia areata, which is the sudden loss of large clumps of hair in areas all around the scalp is something that we will often see at our New Bedford hair loss clinic. Telogen effluvium, which is a condition where more hair falls out than usual in the normal “cycle” of hair growth and loss, is perhaps the most common result of keto and hair loss. 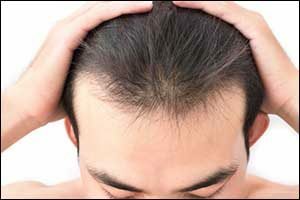 In most cases, this type of hair loss is just temporary and will only last for a couple of months. However, if you have been dealing with hair loss issues for several months even after stopping a low-carb or keto-based diet, you might require hair loss treatment in New Bedford to overcome this issue. Dieting can also trigger stress in some individuals, which is why we will occasionally see trichotillomania as a cause of keto diet hair loss. Trichotillomania is a condition that is caused by stress and results in the individually pulling out their own hair without even realizing it. Twisting, twirling hair, or pulling hair as stress relief is more common than people realize. Our New Bedford hair loss clinic can find proven solutions for any type of hair loss designed to give you renewed confidence and help you feel more like yourself again. However, it does take a diagnosis by one of our highly trained and experienced technicians before we can suggest the proper hair loss treatment in New Bedford and the surrounding area. Remember, the consultation is free, so you’ve got nothing to lose. Give us a call at 508-995-7085 to speak with one of our technicians. We can answer your questions about the options available at our New Bedford hair loss clinic or schedule an appointment for a FREE evaluation. 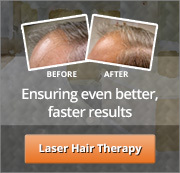 Call today and put your hair loss troubles behind you once and for all!